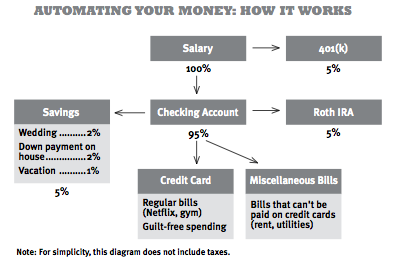 This may not be anything new for many of my readers, but if you have not done so yet, you must automate every aspect of your financial life as soon as you possibly can. Considering the New Year is approaching, this goal will make for a great resolution! Step 1. Ask your employer to direct deposit all of your paychecks, if possible. Step 2. Gather all of your bills together in one place. Perhaps you still receive paper statements for some of these, and some are through email. You are going to cancel all paper statements first (it’s “greener” that way, anyway). Then call all the companies that bill you and ask them to change your payment due date. This will take about 5 minutes per company, so set aside some time for this. If you get paid on the 1st of the month, change your due date to somewhere between the 1st and the 5th. If you are paid twice a month, split the bills accordingly. Most of my bills are paid on the 1st; the rest on the 15th of each month. Step 3. Get savings out of the way first. I have 15% -20% of my paycheck automatically deducted before it even enters my checking account. It’s amazing this way; you pretend the money doesn’t exist. Then on the 15th of the month I have ally bank deduct all of my smaller savings goals into the several accounts I have with them. Again, out of sight out of mind. At this point it is important to note that you are treating your checking account like your email in-box. Everything goes there first then gets filtered out to the proper destination. I would leave a $400 buffer in your checking account just to avoid any issues of over-drawing, just in case. Step 4. Have all of your monthly bills deducted on the 5th of the month. This includes withdrawing cash that you will put into your envelope system for the month. For companies that bill you who don’t accept online automated payments yet, consider using your bank’s bill pay service. Most of them are free and allow you to not have to worry about check writing any more! At this point, you should either be at “zero” in your account or you will have some leftover (if you have been creating a budget and knocking down unnecessary expenses). You may need to delay the next round of bill paying to the 15th of the month if you get paid twice. If you are paid on irregular basis (freelancer, etc.) it is important that you create a buffer in your checking account of 1-2 months of expenses before automating. 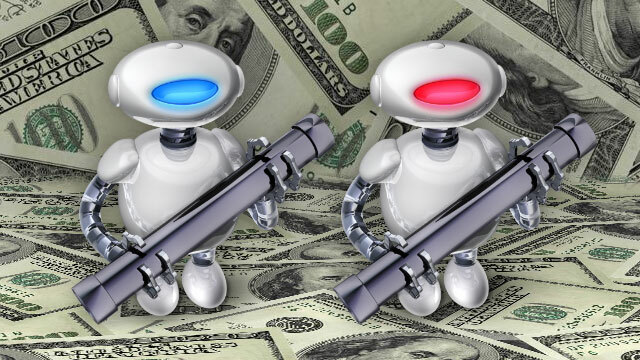 The point of automation is to get all the money out of your account as fast as possible so that you don’t spend it. As soon as you see a large balance in your account you have the potential of developing a false sense of security about how much money you actually have. If there is money left over after automation, use it to pay off debt. If you are debt free (congrats! ), you need to set up another automated savings plan with an online brokerage or bank, or viciously pay down your mortgage. It has been great automating my financial life, and even more incredible looking at my bank balance mid-month and seeing that it hasn’t budged, since I no longer use debit cards for random purchases. Good luck with this!